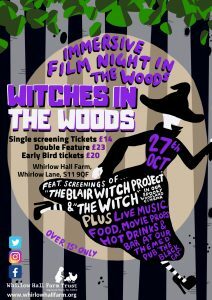 A new pop-up cinema is coming to Sheffield this October at Whirlow Hall Farm and bringing three immersive witch-themed screenings just in time for Halloween. The first showing in the Halloween film festival line-up is a family friendly screening of Hayao Miyazaki’s breath-taking animation “Mary and the Witch’s Flower”. The screening will take place in two of the farm’s barns and in the Halloween village there will be a pumpkin picking field on offer, free craft activities and street food available. 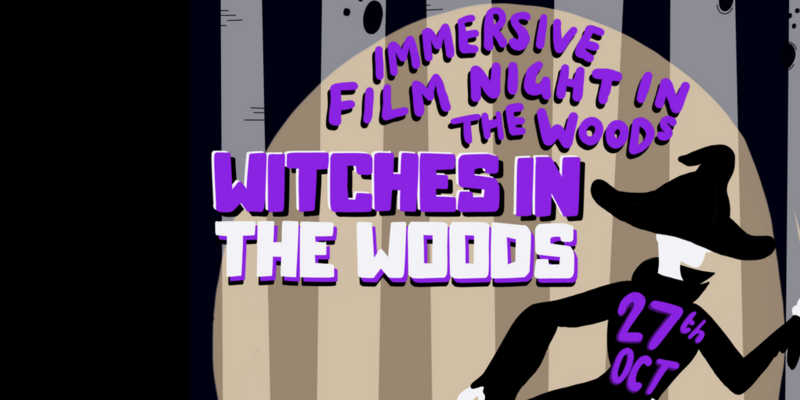 When the sun goes down the cinema will be transported outdoors into the spooky onsite woodland for some rural horrors that’ll have you jumping at every snapped twig and branch rustle you hear around you. The double bill begins with critic’s favourite “The Witch”, set on a New England farm (yep, there’s woodland AND a farm in this one) during the height of witch trial paranoia. 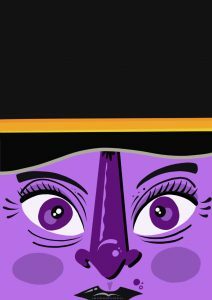 The film’s release saw it heralded as a shift change into boundary-breaking and intelligent horror that has since seen the likes of “Get Out” and “It Comes at Night” in its wake. The headline film of the evening is cult classic “The Blair Witch Project”, which feels like it was written almost exclusively to be shown in a dark woodland at night. Famous for its realistic marketing campaign this woodland screening is all set to blur the lines between film and reality as the audience is submerged into an environment mirroring the one on screen. In doing so the farm aims to ramp up the fear factor to create Sheffield’s most frightening cinema experience for Halloween 2018. Sanctuary is offered in the form of “The Black Cat”, the witch-themed pub appearing for one night only for ticket holders of any of the day’s films. Featuring a bar, hot drinks, cinema snacks, street food, live music and themed décor, it’s the perfect place to top up on a healthy dose of Halloween atmosphere whilst calming your nerves between screenings. The farm plans to expand its cinematic events offering in 2019, making full use of its unique venue in celebration of the charity’s 40th anniversary. All profits raised by the screenings will go to support the education work that the farm does with some of our city’s most vulnerable young people. Limited early bird tickets are on offer for the evening double feature as are single screening tickets and family tickets for the film in the day. Ticket holders also gain early access to the farm’s pumpkin patch, giving them a chance to get first pick of the year’s pumpkin harvest at a special discounted price for the event.